The big day finally arrived when Trinh’s mom gave birth to the twins she had carried for so long. Two beautiful girls said “hello” to the world. But in time, it was obvious that something was wrong. Doctors eventually diagnosed cerebral palsy for both girls. Trinh suffered the severest case. Before coming to Orphan Voice’s Therapy Centre in 2010, Trinh couldn’t lift her head, much less care for herself or walk. Her jaw and throat muscles were weak, making it difficult even to feed her. Trinh spent her days laying on a bed, positioned so she could see out the window. But, there was a better plan for Trinh’s life! 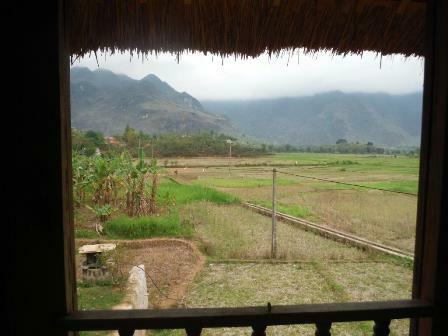 Since she arrived at Phu Ninh Therapy Centre, therapists have worked hard. Trinh has worked hard. Trinh’s mom has also worked hard with home-based therapy. Each month, you feed the hungry, cloth the naked, protect the innocent and help the lame to walk. We need your help to continue touching “the least of these” in Vietnam. Please lend your helping hand HERE. Or mail your support to Orphan Voice, P.O. Box 910410, Lexington, Kentucky 40591.